Canadian actor, author, producer, and director William Shatner OC ( was born March 22, 1932 in the Notre-Dame-de-Grâce neighbourhood of Montréal, Québec, Canada. Shatner attended two schools in Notre-Dame-de-Grâce, Willingdon Elementary School and West Hill High School and is an alumnus of the Montreal Children’s Theatre. He studied Economics at the McGill University Faculty of Management in Montreal, Canada, where he graduated with a Bachelor of Commerce degree. In June 2011, McGill University awarded him an honorary Doctorate of Letters. In 1961, he starred in the Broadway play A Shot in the Dark with Julie Harris and directed by Harold Clurman. Walter Matthau (who won a Tony Award for his performance) and Gene Saks were also featured in this play. Shatner featured in two episodes of the NBC television series Thriller (“The Grim Reaper” and “The Hungry Glass”) and the film The Explosive Generation. Shatner was considered the Stratford Festival’s most promising actor, alongside Steve McQueen, Paul Newman, and Robert Redford. In 1962 Shatner had the lead role in Roger Corman’s movie The Intruder and appeared in the Stanley Kramer film Judgment at Nuremberg plus two episodes, of the science fiction anthology series The Twilight Zone “Nick of Time” and “Nightmare at 20,000 Feet,” In 1963, he starred in the Family Theater production called “The Soldier” and received credits in other programs of The Psalms series. He also guest-starred in Route 66, in the episode “Build Your Houses with Their Backs to the Sea.” In 1964, Shatner guest-starred in The Outer Limits episode “Cold Hands, Warm Heart” as an astronaut returning from a mission and discussing a planned mission to Mars called “Project Vulcan”. He also appeared in an the drama The Reporter (“He Stuck in His Thumb”) and co-starred with Laurence Harvey, Claire Bloom, Newman, and Edward G. Robinson in the Western feature film The Outrage. In 1965, Shatner guest-starred in 12 O’Clock High as Major Curt Brown in the segment “I Am the Enemy” and in The Man from U.N.C.L.E. in an episode that also featured Leonard Nimoy (who would soon portray the above-referenced Mr. Spock). He also starred in the critically acclaimed drama For the People in 1965, as an assistant district attorney alongside Jessica Walter. In 1966 Shatner starred in the gothic horror film Incubus And also starred in an episode of Gunsmoke as Fred Bateman. He appeared as attorney-turned-counterfeiter Brett Skyler in a 1966 episode of The Big Valley, “Time To Kill.” In 1967, he starred in White Comanche as Johnny Moon and his twin brother Notah. William Shatner has also appeared in a number of television commercials and adverts for many companies and products including Ontario-based Loblaws and British Columbia-based SuperValu supermarket General Motors, Oldsmobile and Promise margarine. He has also endorsed the Commodore VIC-20 home computer and done a series of commercials for the travel web site priceline.com. Shatner was also the CEO of the Toronto, Ontario-based C.O.R.E. Digital Pictures, a special effects studio that operated from 1994 to 2010. In May 1999, Simon & Schuster published Shatner’s book, Get a Life!, which details his experiences with Star Trek fandom, anecdotes from Trek conventions, and his interviews with dedicated fans, in particular those who found deeper meaning in the franchise. In 2000 Shatner co-starred in the movie Miss Congeniality as Stan Fields alongside future Boston Legal co-star Candice Bergen. He reprised the role in the sequel Miss Congeniality 2: Armed and Fabulous (2004), in which Stan Fields was kidnapped in Las Vegas along with the winner of the pageant of the previous year. (Shatner hosted the Miss USA Pageant in 2001 as a real presenter in Gary, Indiana.) In the live-action/animated film Osmosis Jones (2001), he voiced Mayor Phlegmming, the self-centered head of the “City of Frank”. In 2003, Shatner appeared in Brad Paisley’s “Celebrity” and “Online” music videos along with Little Jimmy Dickens, Jason Alexander, and Trista Rehn. Shatner also had a supporting role in the comedy DodgeBall: A True Underdog Story starring Ben Stiller and Vince Vaughn. Shatner also appeared in the final season of the legal drama The Practice portraying the eccentric but highly capable attorney Denny Crane, for which he won an Emmy. Shatner had invented his own idea about the beginning of Star Trek with his 2007 novel, Star Trek: Academy — Collision Course. His autobiography Up Till Now: The Autobiography was released in 2008. He was assisted in writing it by David Fisher. Shatner has a star on the Hollywood Walk of Fame (for television work) at 6901 Hollywood Boulevard. He also has a star on the Canada’s Walk of Fame. Shatner was the first Canadian actor to star in three successful television series on three different major networks (NBC, CBS, and ABC). He also starred in the CBS sitcom $#*! My Dad Says, and is also the host of the interview show Shatner’s Raw Nerve on The Biography Channel, and the Discovery Channel television series Weird or What. Shatner also appeared in Psych in The he episode, “In For a Penny” on the USA Network as the estranged father of Junior Detective Juliet O’Hara (Maggie Lawson). In 2011, Shatner starred in The Captains, a feature-length documentary which he also wrote and directed. The film follows Shatner as he interviews the other actors who have portrayed starship captains within the Star Trek franchise. Shatner’s interviewees included Patrick Stewart, Avery Brooks, Kate Mulgrew, Scott Bakula, and Chris Pine. In the film, Shatner also interviews Christopher Plummer, who is an old friend and colleague from Shatner’s days with the Stratford Shakespeare Festival. In 2012, Shatner performed in a new one-man show on Broadway, called Shatner’s World: We Just Live in It. And was the guest presenter on the British satirical television quiz show Have I Got News for You, during which he coined the portmanteau “pensioneer”, combining the words “pensioner” and “pioneer”. The TV channel Epix premiered Get a Life!, a documentary on Star Trek fandom starring Shatner that takes its title from his infamous Saturday Night Live line and his 1999 book on the topic. Shatner also portrayed the home plate umpire in the music video “At Fenway” by crooner Brian Evans. In 2014 he performed for one night only an autobiographical one-man show on Broadway, which was later broadcast in over 700 theaters across Canada, Australia, and the United States. In 2015, he played Mark Twain in an episode of the Canadian historical crime drama series Murdoch Mysteries. And also played Croatoan—main character Audrey Parker’s interdimensional, dangerous father—in the last episodes of the fifth and final season of SyFy channel’s fantasy series Haven. In 2016, Shatner appeared in the NBC reality miniseries Better Late Than Never, which documented the adventures of Shatner and three other aging celebrities (Henry Winkler, Terry Bradshaw and George Foreman) as they travel to Japan, South Korea and Southeast Asia. He also co-founded the comic-book company Shatner Singularity, whose titles include the graphic novel Stan Lee’s ‘God Woke’ by Stan Lee and Fabian Nicieza which won the 2017 Independent Publisher Book Awards’ Outstanding Books of the Year Independent Voice Award. Shatner then appeared in the animated television series My Little Pony: Friendship Is Magic as the voice of Grand Pear, the estranged maternal grandfather of Applejack and her siblings, in the episode “The Perfect Pear”. Shatner has also worked as a musician and began his musical career with the spoken-word 1968 album The Transformed Man, delivering exaggerated, interpretive recitations of “Mr. Tambourine Man” and “Lucy in the Sky with Diamonds.” He performed a reading of the Elton John song “Rocket Man” during the 1978 Science Fiction Film Awards that has been widely parodied. Ben Folds, who has worked with him several times, produced and co-wrote Shatner’s well-received second studio album, Has Been, in 2004. His third studio album, Seeking Major Tom, was released on October 11, 2011. The fourth, Ponder the Mystery, was released in October 2013. Shatner also has done a concert tour with CIRCA:, which includes an ex and current member of Yes, Tony Kaye and Billy Sherwood. Shatner also recorded a wake-up call that was played for the crew of STS-133 in the Space Shuttle Discovery on March 7, 2011, its final day docked to the International Space Station. Backed by the musical theme from Star Trek, it featured a voice-over based on his spoken introduction from the series’ opening credits: “Space, the final frontier. These have been the voyages of the Space Shuttle Discovery. Her 30-year mission: To seek out new science. To build new outposts. To bring nations together on the final frontier. To boldly go, and do, what no spacecraft has done before.” William Shatner is also an author; screenwriter and director; celebrity pitchman; and a passionate owner, trader, breeder, rider, and aficionado of horses. Susan Ann Sulley, British singer with electronic new wave band The Human League was born 22 March 1963. The Human League were formed in Sheffield in 1977. Before adopting the name the Human League, the band briefly had two previous incarnations.In early 1977, Martyn Ware and Ian Craig Marsh, who had met at youth arts project Meatwhistle, were both working as computer operators. Their musical collaboration combined pop music (such as glam rock and Tamla Motown) with avant-garde electronic music. Ware and Marsh were Joined by their friend Adi Newton and another synthesizer (a Roland System-100), they formed The Future and a collection of demos from this period was released retrospectively on CD in 2002 titled The Golden Hour of the Future, mixed by Richard X.
Newton left The Future and went on to form Clock DVA. Ware and Marsh invite an old school friend, Philip Oakey, to join the band as vocalist. They changed their name to The Human League and released the album Dare in 1981Which included the singles “Don’t You Want Me”and “Being Boiled”. They received the Brit Award for Best British Breakthrough act in 1982. They were followed by other international hits including “I don’t depend on You” “Love Action”, “Open Your Heart”, “Mirror Man”, “Fascination”, “The Lebanon”, “Human” (a US No. 1) and “Tell Me When”. The only constant band member since 1977 is vocalist and songwriter Philip Oakey. Originally an avant-garde all-male synthesizer-based group, The Human League evolved into a commercially successful synthpop band under Oakey’s leadership. Since 1987, the band has essentially been a trio of Oakey and long-serving female vocalists Joanne Catherall and Susan Ann Sulley (both of whom joined the ensemble in 1980), with various sidemen. Since 1978, The Human League have released nine studio albums, four EPs including The Dignity of Labour and Holiday 80, 30 singles and several compilation albums. They have had five albums and eight singles in the UK Top 10 and have sold more than 20 million records. Prolific American thriller Author James B. Patterson was born March 22, 1947 in Newburgh, New York. He is largely known for his novels about fictional psychologist Alex Cross, the protagonist of the Alex Cross series. Patterson also wrote the Michael Bennett, Women’s Murder Club, Maximum Ride, Daniel X, and Witch and Wizard series, as well as many stand-alone thrillers, non-fiction and romance novels. 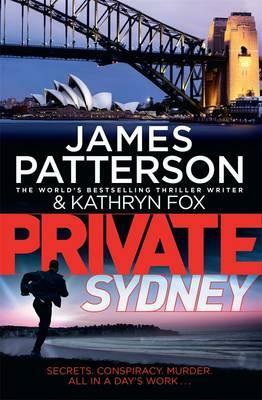 Novels written by Patterson include First to die, Thomas Berryman number, Private, Private New York, Private London, Private Paris, Private Sydney, Truth or Die, Sail, Toys, Burn, 14th Deadly Sin, Cross Country, I Alex Cross, kill Alex Cross, Run For Your Life, Kiss the Girls, NYPD RED, NYPD RED 2, NYPD RED 3, Hope to Die and many others. His books have sold more than 300 million copies. He received a Bachelor of Arts in English from Manhattan College, along with a Master of Arts in English from Vanderbilt University. 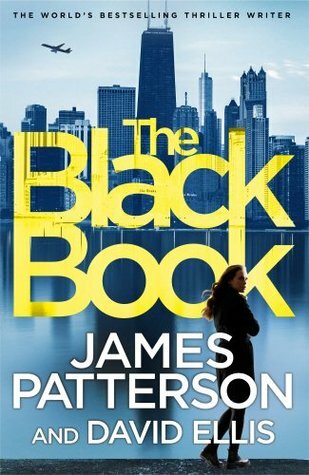 James Patterson’s first job was in advertising, then After Patterson retired from advertising in 1996,he devoted his time to writing.James Patterson published his first novel in 1976 called The Thomas Berryman Number. 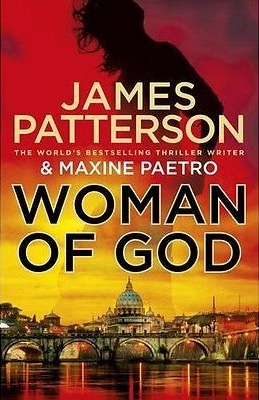 The novels featuring his character Alex Cross, a forensic psychologist formerly of the Washington D.C. Metropolitan Police and Federal Bureau of Investigation who now works as a private psychologist and government consultant, are his most popular and the top-selling U.S. detective series in the past ten years. Patterson has written 95 novels since 1976. He has had 19 consecutive No. 1 New York Times bestselling novels, and holds The New York Times record for most bestselling hardcover fiction titles by a single author, a total of 76, which is also a Guinness World Record.His novels account for one in 17 of all hardcover novels sold in the United States; in recent years his novels have sold more copies than those of Stephen King, John Grisham and Dan Brown combined. His books have sold approximately 300 million copies worldwide. Patterson’s awards include the Edgar Award, the BCA Mystery Guild’s Thriller of the Year, the International Thriller of the Year award,and the Children’s Choice Book Award for Author of the Year. He is the first author to have No. 1 new titles simultaneously on The New York Times adult and children’s bestsellers lists, and to have two books on NovelTracker’s top-ten list at the same time. He appeared on the Fox TV show The Simpsons (in the episode “Yokel Chords”) and in various episodes of Castle as himself. Patterson works with a variety of co-authors, such as Maxine Paetro, Andrew Gross, Mark Sullivan, Ashwin Sanghi, Michael Ledwidge, and Peter De Jonge and has often said that collaborating with others brings new and interesting ideas to his stories. In September 2009, Patterson signed a deal to write or co-write 11 books for adults and 6 for young adults by the end of 2012. In 2005 Patterson also founded the James Patterson PageTurner Awards to donate over US $100,000 that year to people, companies, schools, and other institutions that find original and effective ways to spread the excitement of books and reading. The PageTurner Awards were put on hold in 2008 to focus on Patterson’s new initiative, ReadKiddoRead.com, which helps parents, teachers, and librarians find the best books for their children. The social networking site for ReadKiddoRead is hosted by Ning. 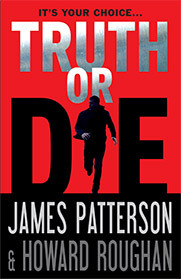 Patterson has also set up the James Patterson Teacher Education Scholarship in the schools of education at Appalachian State University, lMichigan State University, and Florida Atlantic University. Patterson also runs the College Book Bucks scholarship program. Patterson’s latest novels include Malicious, 16th Seduction, Hide and Seek, Hidden and Never Never. helped Develop policies and frameworks that would bridge ministries and sectors, to ensure energy security and sustainable water use in a green economy. journalists from eleven countries in Asia also met in Tokyo to discuss the importance of water And also discussed privatisation of services, integration between water and energy and modernisation of water services. The year 2013: was International Year of Water Cooperation and in 2012 the theme was Water and Food Security: The World is Thirsty Because We are Hungry. the International Committe of the Red Cross (ICRC) called attention to the water-related challenges faced by civilians caught up in fighting and intense civil unrest. In 2011 the theme was Water for cities: responding to the urban challenge. This encouraged governments, organizations, communities, and individuals to actively engage in addressing the challenges of urban water management.